Megan Kennedy, S2S’s Operations Program Manager, previously worked in University of California, Davis Undergraduate Admissions as an undergraduate admissions application evaluator, public advisor, and transfer coordinator. She is a U.S. Army Reserve veteran who attended American River College (ARC) in Sacramento until 2012. She transferred to UC Davis as a reentry and Educational Opportunity Program (EOP) student besides belonging to the military veteran student population. She is a proud Aggie, Class of 2014, with a B.A. in Philosophy and Political Science from the College of Letters and Science. She will complete a Master of Arts in Higher Education Leadership at California State University, Sacramento (CSUS) in May 2019. Megan is also looking forward to eventually pursuing programs for a Ph.D. in higher education leadership and a J.D. program in government policy. 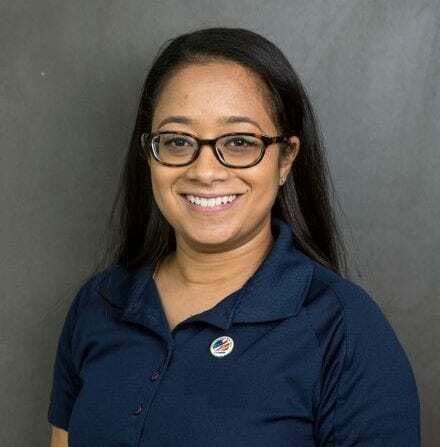 While attending school she served as president of the Davis Student Veteran Organization (DSVO) and established DSVO as an approved chapter of Student Veterans of America (SVA). Megan also advocated for veteran and military students on multiple administrative advisory committees, and sat on the student Campus Judicial Board. Megan began her career at UC Davis with student employment, and then moved into a career staff position 6 months prior to graduation. She served on the inaugural board of officers for the staff/faculty Veteran Constituency Group (VCG); was a member of the campus Out List identifying LGBTQIA faculty, staff, and graduate students; co-founded and leads the UC Davis military alumni network; and co-launched the staff/faculty Veteran Self-Identification Campaign as the outgoing chair of VCG. Megan is a lifetime member of Women Veterans Alliance (WVA) and a member of the SGM Jon R. Cavaiani Chapter of the Association of the United States Army (AUSA). Megan has been an S2S Undergraduate Ambassador since 2016 and supported the the launch of the S2S West Coast Regional Team during its Fall 2018 launch as a volunteer.